"Don't miss this train ride back to the 50s!" Don't forget about our second location! Listen to your favorite 50's and 60's songs while indulging the best shake you’ve ever had! Delivery and Pickup orders available - look under the menu tab for more information! Just 2 miles south of Pismo Beach right off HWY 1. Car Clubs, Motorcycle Clubs, Church Groups, Social Groups, and any other groups over 20 people - discounts on dining or catering orders. 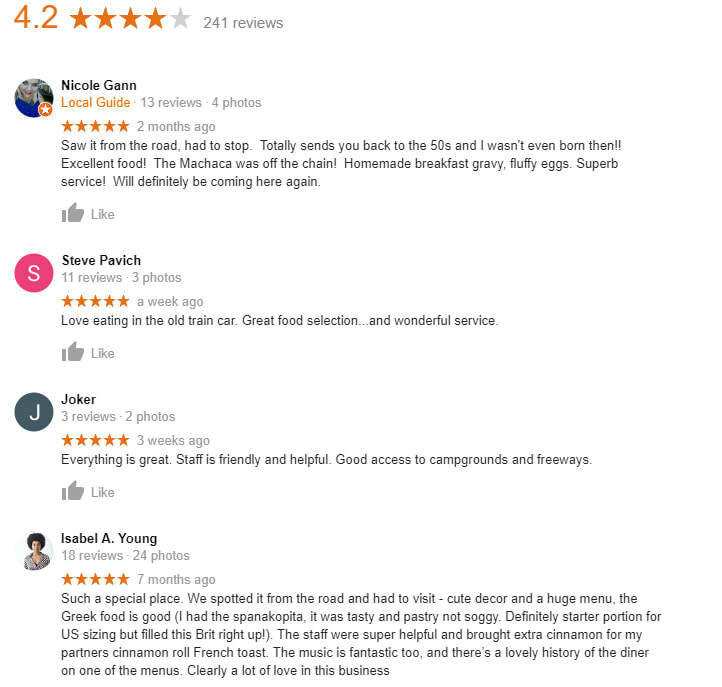 Come and experience the most unique 50s diner on the Central Coast! Brunch has never been so delicious! Come join us for a wonderful meal in a fun and enjoyable setting! "Relax & Enjoy Brunch with Us"